Explanation: Circinus X-1 is an X-ray binary star known for its erratic variability. In the bizarre Circinus X-1 system, a dense neutron star, the collapsed remnant of a supernova explosion, orbits with a more ordinary stellar companion. Observations of the X-ray binary in months following an intense X-ray flare from the source in 2013 progressively revealed striking concentric rings – bright X-ray light echoes from four intervening clouds of interstellar dust. 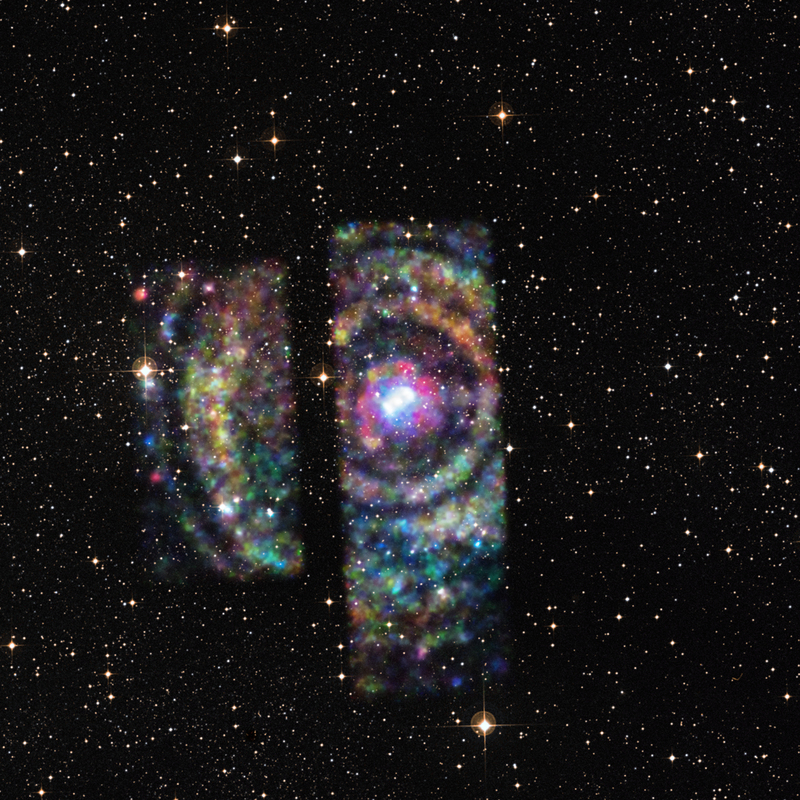 In this X-ray/optical composite, the swaths of Chandra Observatory X-ray image data showing partial outlines of the rings are in false colours. Remarkably, timing the X-ray echoes, along with known distances to the interstellar dust clouds, determines the formerly highly uncertain distance to Circinus X-1 itself to be 30,700 light-years.